At Ryan Koch Homes, we aim to educate you on the many exceptional home and condo options in the Madison area. This week, we'd like to help you get to know Blackhawk Lofts, one of Madison, Wisconsin's premiere condominium home destinations. You’ll love coming home to these urban-style townhouses, located just steps away from beautiful Blackhawk Park, the neighborhood is quiet and serene, yet only minutes to the Beltline, and shopping and dining at Middleton, WI Greenway Station. The city of Middleton, Wisconsin was honored with the title “Best Place to Live in the U.S." in Money Magazine in 2007. The Blackhawk Lofts condo homes lie within the top-ranking Middleton-Cross Plains school district, which includes Middleton High School, Glacier Creek Middle School, and Sunset Ridge Elementary School. Only 6 years old, the popular Blackhawk Loft condos offer the perfect combination of comfort and luxury. The individual entryways and front porches allow for privacy, yet the plentiful common green spaces encourage the communal spirit for which Middleton, Wisconsin is famous. 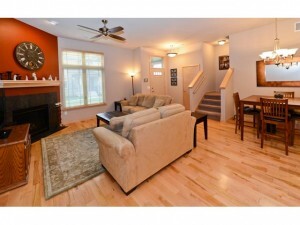 This immaculate 2 bedroom, 2.5 bath Blackhawk Lofts townhome JUST hit the market! Natural light streams into this beautifully appointed, south-facing unit, which offers nearly 1500 sq ft of high end living space. The impressive main room features 9+ ft ceilings, maple hardwood floors, gas fireplace, and an open kitchen with stainless steel appliances, richly-hued hickory cabinetry and granite breakfast bar. The large master suite boasts a stylish tray ceiling, walk-in closet, and private full bath. Enjoy the convenient upper level laundry, luxurious maple woodwork, covered front porch, and premium wooden blinds and ceiling fans. The home includes 2 underground parking spaces with extra storage. 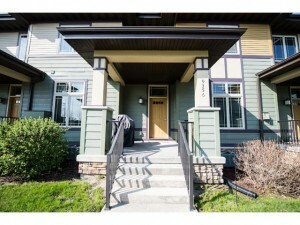 Listed at $189,900, this gorgeous condominium home is an absolute steal! Anxious to learn more and take a photo-tour of this townhome? We thought so! Please click HERE! Please contact Ryan Koch Homes for a showing: (608) 219-9766. Click here to view similar condominium homes in Middleton, Wisconsin. Begin your own condo search HERE!